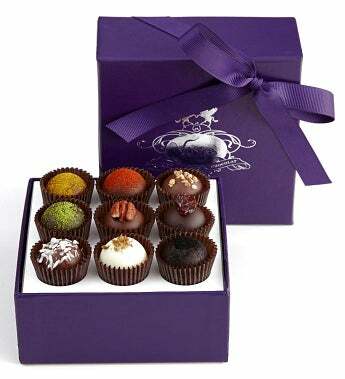 Send the flavors of the world with this signature collection from the award-winning chocolatiers at Vosges. A perennial best seller, this 9pc truffle collection boasts exotic ingredients like Hungarian paprika, first press extra virgin olive oil, wasabi, and Indian curry powder. Each luxurious box includes an enclosure booklet describing the flavors and their unique stories.